We have added new Data Display Group 5″ to 12.5″ projected capacitive touch screens with modern white or black sealing to our lineup. These multi-touch screens feature fast response time and low power consumption. Apart from the competitive priced I²C controller versions, we offer the HID compliant USB versions. These do not require drivers for modern operating systems (e.g. Windows 7, Linux or Android). The touch screens calibrate automatically when being initialized and when environmental conditions (e.g. temperature, humidity) change. 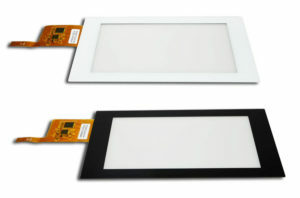 Apollo Displays offers these touch screens as a complete unit – optically bonded to a TFT display. We cooperate closely with our controller partners EETI, Goodix and Ilitek and have installed the necessary programming tools (in hardware and software) in our touch laboratory, So we can do any customization of the controller firmware to your integration and grounding structure. Distec is one of the leading providers with “Design in Germany” and production in Asia. 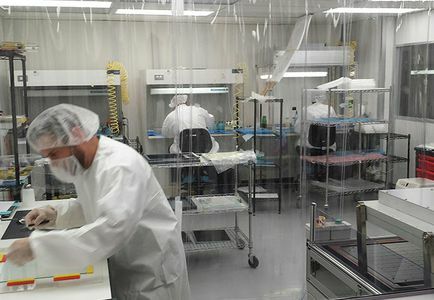 Our 3rd-party production is regularly checked. Projected capacitive touch screens are usually briefly called PCAP touch screens. They are robust, can be easily equipped with protective glass and feature multi-touch function for up to 10 fingers, enabling gesture control. PCAP touch screens are equipped with a network of electrodes (Metal Mesh, Silver Nanowire, ITO) that project an electromagnetic field that also passes through a protective glass. If this field changes at one point due to a touching finger or a stylus, the touch position is calculated and forwarded to the controller. Drag & drop, zoom, rotate or scroll via gesture control is possible. Due to the glass surface, the PCAP touch screens are particularly scratch-resistant and can be cleaned with all cleaning agents – an important advantage in hygienically sensitive areas. With optional protective glasses, the touch screens are vandal-proof and can be used in public areas. However, the number of touch points may vary depending on the strength of the protective glass used. PCAP touch screens are perfect for modern True Flat designs, as known from smartphones or tablet PCs, and thus ensure an appealing device design. We can offer the touchscreens also optically bonded as a unit with a protective glass and / or a TFT display. 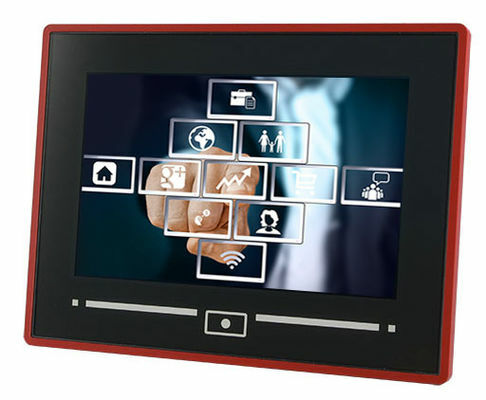 We provide our own series PCAP touch screens and those from DMC in sizes from 2.2″ to 55″ (5.59cm to 139.7cm). Glass / glass technology allows for unlimited use with gloves and cleaning with all cleaning agents. In addition, these touch screens are particularly clear and scratch-resistant and are controlled via the familiar 4-wire controller. On a project basis, we can supply you with glass / glass touch screens in sizes from 7″ to 24″ (17.78 to 60.96 cm). We offer analog resistive 4-wire and the more robust 5-wire touch screens in sizes from 5.7″ to 24″ (14.48cm to 60.96cm). Besides Distec’s resistive touch line, we also offer products from Abon and DMC. For selected niche TFTs e.g. 10.1″ we offer resistive analog touch screens, which are connector compatible to the DMC series.